Full House is a modern fable about the living together in urban housing situations. It is performed in a cross-culturally understandable way and addresses a universal topic for an audience of all ages. 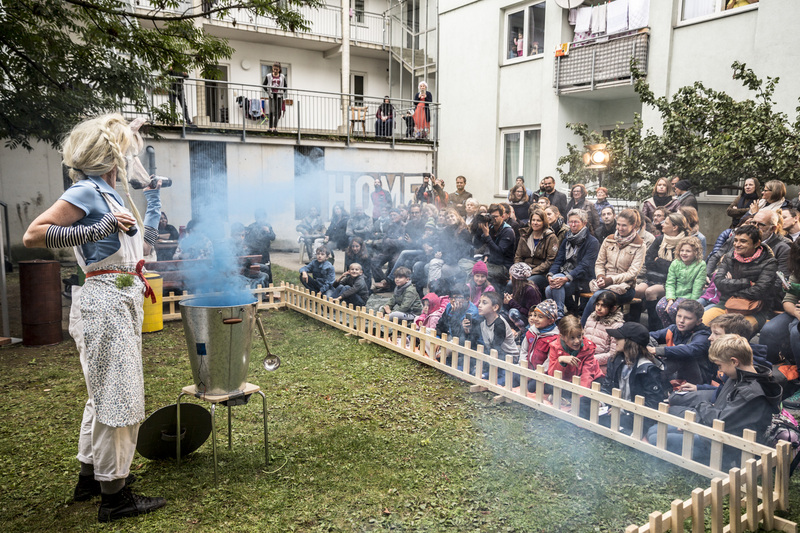 As a strategy that supports the overcoming of cultural and other differences, Full House is thought to be set up in backyards of apartment blocks, kindergartens, schools and other spaces where intense everyday life might cause frictions or where communication and mutual understanding has become difficult. 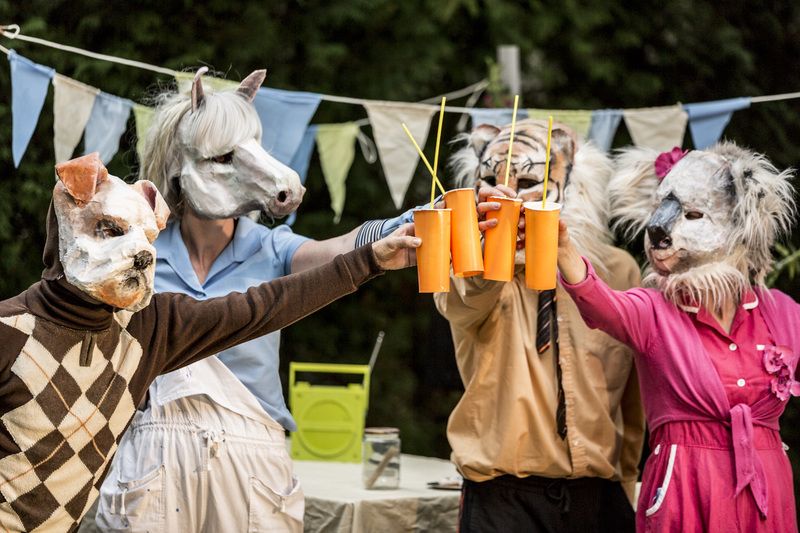 Without words but through physical theatre and live music, Full House tells the story of Miss Koala, Mister Dog, and Madame Horse living door to door. Miss Koala is simply in love with the world. 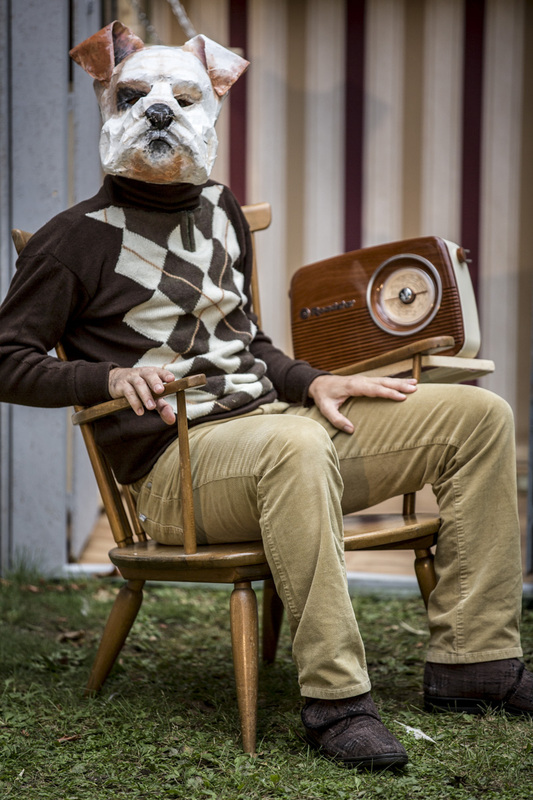 Mister Dog is a loner and passionate about classical music. The energetic Madame Horse has always four things cooking at the same time. Different as they are, living together is not easy for them. Most of the time, they are very busy with themselves in their everyday lives and do not even realize the needs of the other. Sometimes an outburst of conflict is just lurking around the corner. As the cherry on top of all, a new neighbour moves in: The Tiger. His very exuberant ways push the other three to the limits. His arrival creates a circumstance in which broiling conflincts burst out but at the same time, the neighbours notice each other consciously for the first time. A new and unexpected situation arises when the tiger invites the other neighbours to his house-warming party, thus making it possible for all to meet each other somewhat relaxed gradually losing their prejudices about each other. 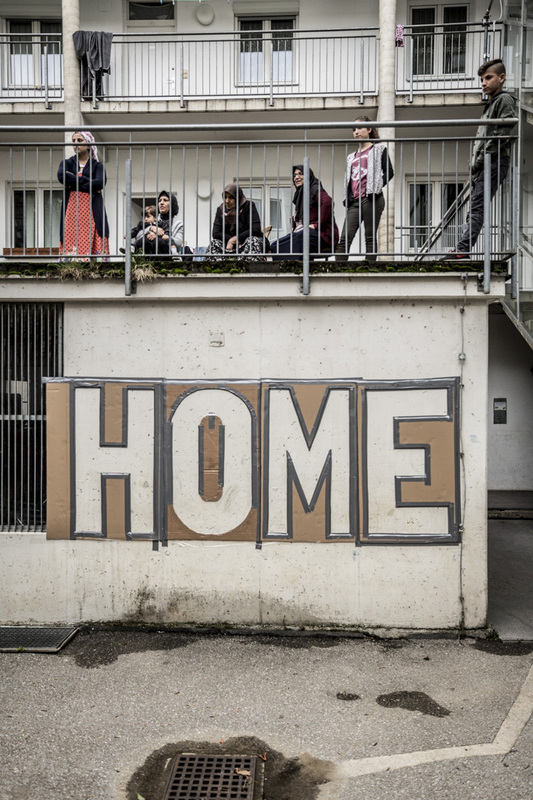 Full House was created based on the request of the ARGE do.it.to.do.do to find a theatrical project that supports interpersonal communication in crowded urban housing situations. 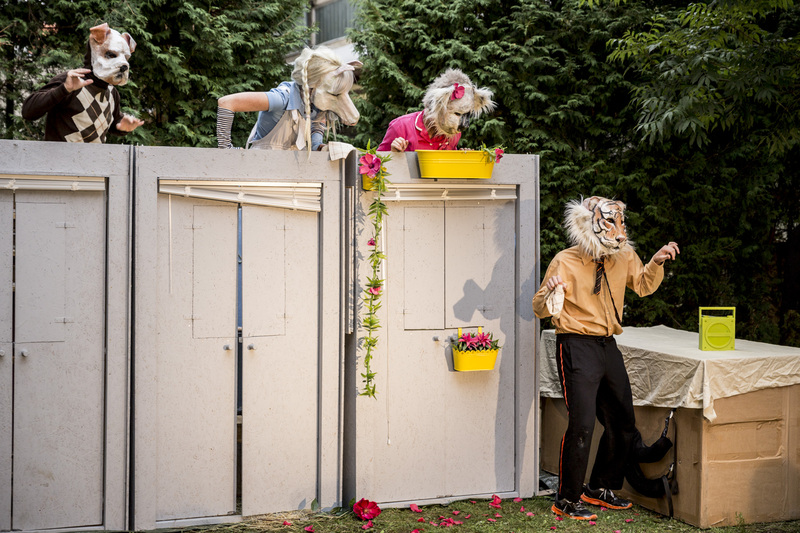 Based on this need and on research on real life in such housing situations, Eléctrico 28 has created a mobile theatre piece that deals with certain issues of everyday life with humor as a major tool in freeing them from taboos.